Alexandria (formerly Belhaven and Hunting Creek Warehouse) is an independent city in the Commonwealth of Virginia. As of the 2010 census, the population was 139,966, in 2013, the population was estimated to be 151,218. Located along the Western bank of the Potomac River, Alexandria is approximately six miles (9.6 kilometers) south of downtown Washington, D.C.
Like the rest of Northern Virginia, as well as central Maryland, modern Alexandria has been shaped by its proximity to the nation's capital. It is largely populated by professionals working in the federal civil service, in the U.S. military, or for one of the many private companies which contract to provide services to the federal government. 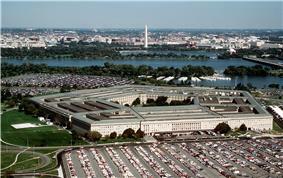 One of Alexandria's largest employers is the U.S. Department of Defense. Others include the Institute for Defense Analyses and the Center for Naval Analyses. In 2005, the United States Patent and Trademark Office moved to Alexandria. A portion of adjacent Fairfax County, Virginia is named Alexandria, but is under the jurisdiction of Fairfax County and separate from the city; the city is sometimes referred to as the City of Alexandria or Alexandria City to avoid confusion. In 1920, Virginia's General Assembly voted to incorporate what had been Alexandria County as Arlington County, Virginia to minimize confusion. The first European settlement was established in 1695 in what was then the English Colony of Virginia. Virginia's comprehensive Tobacco Inspection Law of 1730 mandated that all tobacco grown in the colony must be brought to locally designated public warehouses for inspection before sale: one of the sites designated for a warehouse on the upper Potomac River was at the mouth of Hunting Creek. However, the ground being unsuitable at that location, the warehouse was established a half-mile up river, where the water ran deep near the shore. Following the 1745 settlement of the colony's 10-year long dispute with Lord Fairfax over the western boundary of the Northern Neck Proprietary—the Privy Council in London finding in favor of Lord Fairfax's expanded claim—some of the gentry class of Fairfax County banded together to form the Ohio Company of Virginia. Their intent was to establish trade into the interior of America and for this they required an entrepot close to the head of navigation on the Potomac. The Hunting Creek tobacco warehouse offered the best location for a trading port which could accommodate sailing ships. However, many of the local tobacco planters wanted a new town to be sited up Hunting Creek, away from the "played out" tobacco fields along the river. Since the river site was amidst his estate, Philip opposed the idea and strongly favored a site at the head of Hunting Creek (also known as Great Hunting Creek). It has been said that in order to avoid a predicament the petitioners offered to name the new town Alexandria, in honor of Philip’s family. As a result, Philip and his cousin Captain John Alexander (1711–1763) gave land to assist in the development of Alexandria, and are thus listed as the founders. This John was the son of Robert Alexander II (1688–1735). On May 2, 1749, the House of Burgesses approved the river location and ordered "Mr. Washington do go up with a Message to the Council and acquaint them that this House have agreed to the Amendments titled An Act for erecting a Town at Hunting Creek Warehouse, in the County of Fairfax." A "Public Vendue" (auction) was advertised for July, and the county surveyor laid out street lanes and town lots. The auction was conducted on July 13–14, 1749. Almost immediately upon establishment, the town founders called the new town "Belhaven", believed to be in honor of a Scottish patriot, John Hamilton, 2nd Lord Belhaven and Stenton, the Northern Neck tobacco trade being then dominated by Scots. The name Belhaven was used in official lotteries to raise money for a Church and Market House, but it was never approved by the legislature and fell out of favor in the mid-1750s. The town of Alexandria did not become incorporated until 1779. In 1755, General Fort Duquesne at Carlyle House in Alexandria. In April 1755, the governors of Virginia, and the Provinces of Maryland, Pennsylvania, Massachusetts, and New York met to determine upon concerted action against the French in America. 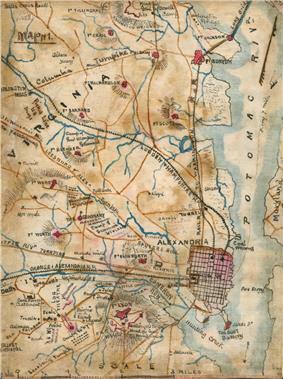 In 1791, Alexandria was included in the area chosen by Arlington County share the distinction of having been originally in Virginia, ceded to the U.S. Government to form the District of Columbia, and later retroceded to Virginia by the federal government in 1846, when the District was reduced in size to exclude the portion south of the Potomac River. 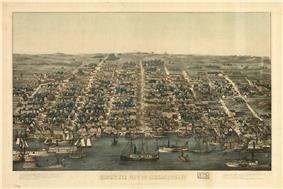 The City of Alexandria was re-chartered in 1852. Over time, a movement grew to separate Alexandria from the District of Columbia (the Chesapeake and Ohio Canal fostered development on the north side of the Potomac River, the city's economy stagnated, together with the loss of representation and rights to vote and failed expectations for economic benefit from the new district. Alexandria was also an important port and market in the slave trade, and there were increasing talk of the abolition of slavery in the national capital. Alexandria's economy would suffer greatly if slavery were outlawed. After a referendum, voters petitioned Congress and Virginia to return the area to Virginia. Congress retroceded the area to Virginia on July 9, 1846. 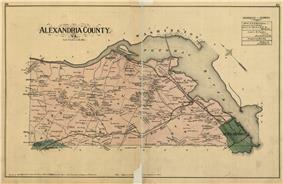 Ultimately, the City of Alexandria became independent of Alexandria County in 1870. The remaining portion of Alexandria County changed its name to Arlington County in 1920. Alexandria remained under military occupation until the end of the Civil War. One of the ring of forts built during the war by the Union army for the defense of Washington, D.C., Fort Ward, is located within the boundaries of modern Alexandria. After the establishment of the state of West Virginia in 1863 and until the close of the war, Alexandria was the seat of the Restored Government of Virginia also known as the "Alexandria Government." During the Union occupation, a recurring point of contention between the Alexandria citizenry and the military occupiers was the military’s periodic insistence that church services include prayers for the President of the United States, resulting in incidents such as the full arrest of a minister in his church. As of ratification of the Fifteenth Amendment, Alexandria County’s black population was more than 8,700, or about half the total number of residents in the County. This newly enfranchised constituency provided the support necessary to elect the first black Alexandrians to the City Council and the Virginia Legislature. In 1930, Alexandria annexed the Town of Potomac. That town, adjacent to Potomac Yard, had been laid out beginning in the late 19th century and incorporated in 1908. By the late 20th century, Alexandria had become a key portion of the urban agglomeration of Northern Virginia. According to the United States Census Bureau, the city has a total area of 15.5 square miles (40.1 km2), of which 15.0 square miles (39 km2) is land and 0.4 square miles (1.0 km2) (2.8%) is water. Alexandria is bounded on the east by the Potomac River, on the north and northwest by Arlington County, and on the south by Fairfax County. The western portions of the city were annexed from those two entities beginning in the 1930s. The ZIP code prefix 223 uniquely identifies the Alexandria postal area. However, the Alexandria postal area extends into Fairfax County and includes addresses outside of the city. Delivery areas have ZIP codes 22301, 22302, 22304, 22305, 22311, 22312, 22314, and 22315, with other ZIP codes in use for post office boxes and large mailers. Signs hang from the lamp posts of Old Town along King Street. 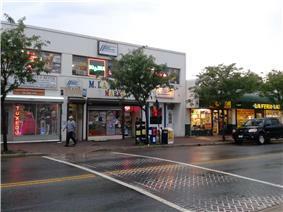 Storefronts along Mount Vernon Avenue in the Arlandria section of Alexandria reflect the large Hispanic population in the area. 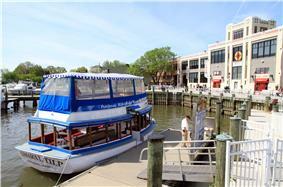 Old Town is situated in the eastern and southeastern area of the city along the Potomac River. 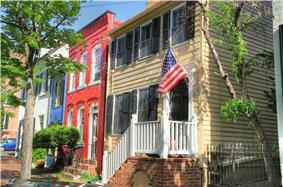 It was originally laid out in 1749, making it the oldest section of the City and is a historic district. 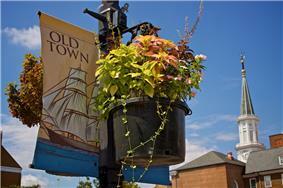 Old Town is chiefly known for its historic town houses, art galleries, antique shops, and restaurants. Some of the historic landmarks in Old Town include General Gadsby's Tavern, the Stabler-Leadbeater Apothecary Shop, and the Torpedo Factory art studio complex (see the "Recreation" paragraph below). River cruise boats and street entertainers frequent the large plaza at the foot of King Street; the Mount Vernon Trail also passes through. Old Town is laid out on a grid plan of substantially square blocks. The opening of the Washington Metro King Street station in 1983 led to a spurt of new hotel and office building development in western Old Town, and gentrification of townhouse areas west of Washington Street which were previously an African-American community. Market Square in Old Town is believed to be one of the oldest continuously operating marketplaces in the United States (since 1753), and was once the site of the second-largest slave market in the U.S. Today it contains a large fountain, extensive landscaping, and a farmers' market each Saturday morning. Just to the west of Old Town is the city's oldest planned residential expansion. Called by its creators Mount Vernon by electric railroad, Rosemont, instead, became closely integrated into the life of the core of Alexandria. Much of Rosemont is included in a historic district listed on the National Register of Historic Places that was intended to focus attention on the neighborhood's role as a showcase of early 20th century home building styles. Television weatherman Willard Scott grew up here. At the northern limits of Old Town are the remnants of a historic, predominantly African-American community known by its inhabitants as "The Berg." The area was settled in 1861 by refugees fleeing from enslavement in the area around Petersburg, Virginia and was known as Petersburg or Grantsville. In 1915 the neighborhood encompassed several blocks from 1st St. to Bashford Lane and Royal St. to the waterfront railroad line. 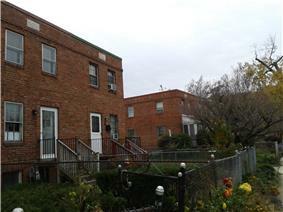 Built in 1945, a 260-unit public housing complex covers several blocks in what is now Old Town Alexandria. Two of the Berg’s most prominent landmarks are blocks of units within this complex. The James Bland Homes, built in 1954, are named after an African American musician and songwriter. The second are the Samuel Madden Homes, named after the second African-American pastor of the Alfred Street Baptist Church. Arlandria is a neighborhood located in the north-eastern portion of Alexandria. Its name is a portmanteau of the words "Arlington" and "Alexandria," reflecting its location on the border of Arlington County and Alexandria. The neighborhood's borders form a rough triangle bounded by Four Mile Run in the north, West Glebe Road to the south and south-west, and Route 1 to the east. Centered around Mount Vernon Avenue between Four Mile Run and West Glebe Road, it is home to many Hispanic, Thai, and Vietnamese-owned bakeries, restaurants, salons, and bookstores. An influx of Salvadorean immigrants into the neighborhood in the 1980s has earned it the nickname "Chirilagua," after the city on the Pacific coast of El Salvador. Arlandria is also home to the Birchmere concert hall, the Alexandria Aces of the Cal Ripken, Sr. Collegiate Baseball League, and St. Rita Roman Catholic Church, dedicated in 1949 and constructed in Gothic style from Virginia fieldstone and Indiana limestone. Alternative rock band the Foo Fighters has a track titled "Arlandria" on their 2011 release Wasting Light; front man (and ex-Nirvana drummer) Dave Grohl lived in Alexandria during his childhood. The area is also referenced in the song "Headwires" from the band's 1999 release, There Is Nothing Left to Lose. The 254 acres (1 km²) comprising Del Ray were sold to Charles Wood in 1894 for the sum of $38,900, while St. Elmo, made up of 39 acres (160,000 m2), was purchased for $15,314. The community, while still diverse, has experienced substantial gentrification since the development of the Potomac Yard Shopping Center in the mid-1990s. It draws tens of thousands of people from around the Washington, D.C. region during its annual Art on the Avenue main street festival the first Saturday in October. New development under way in formerly unused land near Potomac Yard, across US Route 1 from Del Ray, will include condominiums, offices, parks, and a fire station with affordable housing on upper floors. Alexandria's West End includes areas annexed from Fairfax County in the 1950s. It is the most typically suburban part of Alexandria, with a street hierarchy of winding roads and cul-de-sacs. The section of Duke Street in the West End is known for a high-density residential area known to locals as "Landmark" due to its close proximity to nearby Landmark Mall, and for its concentration of strip and enclosed shopping malls. Parts of Alexandria's West End have received an influx of immigrants from Ethiopia, Eritrea, Afghanistan and Pakistan, who have settled in the areas surrounding Seminary Road west of I-395. Seminary Hill, a mostly residential, single-family dwelling area near the Virginia Theological Seminary and the Episcopal and St. Stephen's & St. Agnes Schools off of Seminary Road, ending in the area just west of the Inova Alexandria Hospital. Lower Alexandria (LA), south of the Duke Street corridor, are communities of small homes, rowhouses, townhomes along with commercial and retail real estate, including the Foxchase Shopping Center. The section between Wheeler Ave. and Jordan St. is also known as the "Block." In the 1960s and 1970s, this section of Alexandria was also known because of Shirley Duke, a complex of 2,214 low-priced rental apartments, which became the Foxchase development in the early 1980s after five years of stagnancy. There are also areas of industrial businesses south of Duke Street, primarily off Wheeler Ave., South Pickett St., and South Van Dorn St. In the very southern part of this area is the Eisenhower Ave. corridor running parallel to the Capital Beltway (I-95/I-495) and west of Telegraph Rd, which is primarily industrial and commercial in nature. There has been some development in apartments and townhomes in the area west of Telegraph Rd and east of Clermont Ave along with Class 1 Offices and national brand hotels. The Van Dorn Metro Station here provides access to Washington, D.C. The Landmark area, which includes Seminary Valley, a large single family area developed in the 1950s, is largely garden style apartments and condo-converted apartment hi-rises as well as a number of townhome developments from the 1970s is west of North Pickett St bordered by I-395/Van Dorn Street on the west and Seminary Road on the north. Other well known communities include Seminary Valley & Brookville (BVSV) and Cameron Station. The area is developed around the main branch of the Alexandria Library, the Charles E. Beatley Central Library, named for Alexandria's two-time mayor in the 1970s and early eighties, Chuck Beatley. The Landmark Mall, developed in the mid-1960s and redeveloped in the 1980s, was Alexandria's primary retail area for decades. It is now anchored by Sears and Macy's department stores. The Seminary West neighborhoods are the communities west of I-395 but within the city limits of Alexandria. Beauregard Street is the primary artery running north and south to a mix of development from town home communities, single family neighborhoods, three large senior citizen living centers, garden and hi-rise apartments and condominiums. The Mark Center office development is a large commercial area in this community, which also includes the Alexandria Campus of the Northern Virginia Community College and its Rachel M. Schlesinger Concert Hall and Arts Center. The Mark Center is a 1,000,000-square-foot (93,000 m2) office tower complex developed for the US Department of Defense and its Base Realignment and Closure initiative. It is an annex of US Army post Fort Belvoir. 6,300 federal office workers were expected to occupy the buildings. North Ridge, in northern Alexandria city, includes the busy east-west Braddock Road/King Street corridors and north-south arteries Russell Road (to the East) and Cameron Mill Road. North Ridge takes its name from the high ground west of Russell Road and south of West Glebe Road. Within the area that comprises North Ridge are the neighborhoods of Beverley Hills, Jefferson Park, Braddock Heights, Timber Branch, Parkfairfax, Monticello Park, Beverley Estates, and Oak Crest. It is a residential area with homes of numerous styles with mostly single family two-story & basement houses that were largely developed in the period of the 1930s through the early 1960s. The Lower School of private T. C. Williams High School. Parks include Monticello Park, Beverley Park and Robert Leider Park. The North Ridge community lies within the original 10-mile (16 km) square of the District of Columbia, ceded back to Virginia in 1846. Many neighborhoods and cities outside of the city limits, including Hollin Hills, Franconia, Groveton, Hybla Valley, Huntington, Belle Haven, Mount Vernon, Fort Hunt, Engleside, Burgundy Village, Waynewood, Wilton Woods, Rose Hill, Virginia Hills, Hayfield, and Kingstowne use an Alexandria address. These areas are actually part of Fairfax County, not Alexandria. Many locals refer to the non-Alexandria area that has an Alexandria zip code as "Lower Alexandria" or "South Alexandria"; it may also sometimes be called "Alexandria, Fairfax County." Like many American cities, Alexandria has experienced a substantial decline in overall crime since 1970, hitting a 45 year low in 2010. The city's Alexandria Police Department is responsible for police services in the city. There are 320 officers and 138 administrative workers. Since 2002, the police department has put crime information online. The total number of violent crimes has been declining on average since 1997 for Alexandria. There were 288 cases of aggravated assault for 1997. The average since then has been 204 per year. The high point for burglary was reached in 1997 with 819 break-ins, as well as 813 reports of auto theft, the highest recorded total for the city. The average number of stolen autos for every year since then has been 672. The number of crimes per 1,000 people has also been declining, from 56 in 1997 to 27 in 2006. According to the Police Executive Research Forum, in Alexandria, "street violence is overrepresented in the Hispanic community." Alexandria is home to numerous American Coalition for Clean Coal Electricity, the American Counseling Association, the Society for Human Resource Management, the National Society of Professional Engineers, and the National Beer Wholesalers Association. The city is served by the The George Washington University (Washington DC) also has a campus near the King Street metro. This campus mainly offers professional and vocational programs, such as an executive MBA program, urban planning and security studies. Alexandria has several of the Washington, D.C., area's top private schools, such as St. Stephen's and St. Agnes School, Bishop Ireton High School, and Episcopal High School. Also in the city are Alexandria Country Day School, Commonwealth Academy, St. Mary's Catholic School, St. Rita's Catholic School, Blessed Sacrament Learning Center and Global Health College. The demographics of Alexandria City Public Schools contrast with those of the city. In 2008, only 14% of the students at Francis C. Hammond Middle School were non-Hispanic whites, compared to about 60% when looking at the city as a whole. 27% were of Hispanic descent, and 48% were black. About 9% of the school was of Asian descent. In 2004, 62% of the school received free lunches; by 2008, that number had decreased to 56%. At George Washington Middle School, 30% of students are non-Hispanic whites, 24% were Hispanic, and 41% was black. 3% of the students were Asian, and 52% of students received free lunch. T.C. Williams High School follows this trend as well; 23% of the students were classified as non-Hispanic whites, 25% as Hispanic, and 44% as black. 7% of the school was Asian, and 47% of all students received free lunch. The Alexandria Library maintains a reciprocal agreement with neighboring libraries in Arlington, District of Columbia, Fairfax, Falls Church, Fauquier, Frederick, Loudoun, Montgomery, Price George’s, and Prince William. John Wise, a local Alexandria businessman and hotel keeper, hosted a meeting in his home in 1789 to discuss the creation of a Society for the Promotion of Useful Knowledge. Members include Rev. James Muir, physician Charles Lee. The Society did not last for long. However, on July 24, 1794, the founders of the Society once again met at Wise’s home to establish a subscription library. During the first year, one hundred nineteen men joined the circulating library which was to be called the Library Company of Alexandria. Members agreed to pay an initiation fee and annual dues. The company was chartered as a corporation in 1798 in an act passed by the General Assembly of Virginia. Druggist Edward Stabler was elected the first librarian and the library’s first location is believed to have been housed in his George Washington Parke Custis. The catalog published in 1801 indicated a collection of 452 books, mostly on history and travel. By 1815, there were 1,022 entries in the catalog, and the collection had added more biographies, fiction, and magazines. The library was housed in several locations over the ensuing years, including the New Market House next to the City Hall, the George W. Bagby. The arrival of the Civil War in 1861 took its toll on the library collection. Members were able to remove some of the collection prior to the library’s occupation by Union troops. The library was used as a hospital and much of the library’s collection was lost during this time. After the war, the building was sold to a private owner who planned to turn the building into a private residence and asked the library to remove what was left of the collection. Funds continued to be hard to come by and in 1879, the Library Company closed. The remainder of its collection was stored in Peabody Hall. In 1936, Dr. and Mrs. Robert South Barrett presented a proposal to the Library Association. They agreed to donate a building in memory of Dr. Barrett’s mother, Kate Waller Barrett, if the city would commit to running it as a public library. The city agreed and the Society of Friends offered a 99-year lease on an old Quaker graveyard located on Queen Street. The old library was closed on March 1 for the books to be packed and moved to the new library, which opened to the public in August 1937. The Alexandria Library Association became the Alexandria Library Society. In 1947, the Library Society was reconstituted and took the earlier historic name Alexandria Library Company. A lecture series was also revived. Speakers included Thomas Jefferson biographer Dumas Malone. Some of the books belonging in the original collection of the Alexandria Library Company can now be found in the Local History/Special Collections Room at the Queen Street library that still carries Mrs. Barrett’s name. Alexandria has a distributed park system with approximately 950 acres (3.8 km²) spread across 70 major parks and 30 recreation centers, of which Chinquapin is one of the largest. Chinquapin offers facilities for swimming, tennis, racquetball, and other sports. The city also organizes several sports leagues throughout the year including volleyball, softball and basketball. 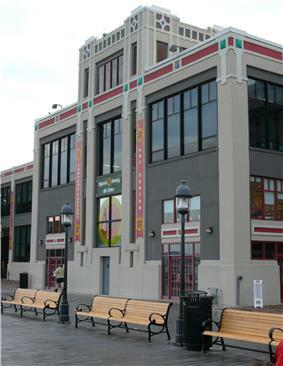 Landmarks within the city include the Masonic Temple) and Observation Deck, Christ Church, Gadsby's Tavern, John Carlyle House, Little Theatre of Alexandria, Lee-Fendall House, Alexandria City Hall, Market Square, the Jones Point Light, the south cornerstone of the original District of Columbia, Robert E. Lee's boyhood home, the Torpedo Factory Art Center, and the Virginia Theological Seminary. Other sites of historical interest in the city include Alexandria Black History Resource Center, Fort Ward Park and Museum, and the Alexandria Canal lock re-creation at Canal Office Center. Interesting sites with Alexandria addresses but outside of the city limits include River Farm, Collingwood Library & Museum, Green Spring Gardens Park, Huntley Meadows Park, Historic Huntley, Pope-Leighey House (designed by Frank Lloyd Wright), Woodlawn Plantation, Washington's Grist Mill and Mount Vernon Estate. In 1830, John Hollensbury's home in Alexandria was one of two homes directly boarding an alleyway that received a large amount of horse-drawn wagon traffic and loiterers. In order to prevent people from using the alleyway, Hollensbury constructed a 7 feet (2.1 m) wide, 25 feet (7.6 m) deep, 325-square-foot (30.2 m2), two story home using the existing brick walls of the adjacent homes for the sides of the new home. The brick walls of the Hollensbury Spite House living room have gouges from wagon-wheel hubs; the house is still standing, and is occupied. Due to its proximity to Washington, Alexandria has only been the home of one professional sports team, the Alexandria Dukes, a minor league baseball team which has moved to Woodbridge and is now named the Potomac Nationals. However, the Cal Ripken, Sr. Collegiate Baseball League brought baseball back to Alexandria in 2008 in the form of the Alexandria Aces. In addition, TC Williams, Bishop Ireton, St. Stephen's and Episcopal have storied histories in athletics, such as football, basketball, baseball and lacrosse. The largest youth sport in Alexandria is soccer with almost 2,500 players ages 2–18 who participate in Alexandria Soccer Association. Alexandria is bisected north and south by State Route 236). 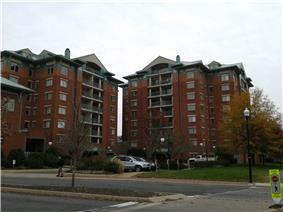 Alexandria is located just south of Ronald Reagan Washington National Airport in Arlington County. As with other Washington suburbs, Alexandria is also served by Washington Dulles International Airport in Sterling, Virginia and by Baltimore-Washington International Thurgood Marshall Airport near Baltimore, Maryland. 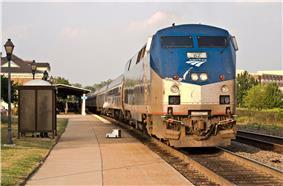 Alexandria Union Station, the city's historic train station, is served by both Amtrak intercity and Virginia Railway Express regional rail service. The station is directly adjacent to the King Street – Old Town Washington Metro station, at the convergence of the Blue and Yellow Lines. Three other Metro stations that lie within the city limits are Braddock Road, Van Dorn Street, and Eisenhower Avenue. The city government operates its own mass transit system, the Virginia General Assembly. In order to revise the power and structure of the city government, the city must request the General Assembly to amend the charter. The present charter was granted in 1950 and it has been amended in 1968, 1971, 1976, and 1982. Alexandria is part of Virginia's 8th congressional district, represented by Democrat Jim Moran, elected in 1990. In 2008, the Alexandria City Council approved an "Eco-City" charter with the goal of guiding the city and its residents toward "sustainability". The term "Eco-City" was first coined by Richard Register in his 1987 book Ecocity Berkeley: building cities for a healthy future. An "Eco-City" is typically defined as one in which inhabitants are dedicated to the minimal consumption of energy, water and food as well as minimal production of air and water pollution. Alexandria, however, defined sustainability instead as meeting the city's present needs while preserving its historic character and ensuring the ability of future generations to meet their own needs. Alexandria was twinned with Gyumri as a means of showing good will in the wake of the 1988 Armenian earthquake. Some Armenian architects were invited to study in Virginia and an Alexandria-Gyumri Armenian festival is held around City Hall every year in June, the date of which is declared Armenia Day in Alexandria by the mayor. An office in the Alexandria City Hall handles sister city projects. The Walking Dead comic book series features a protected area of Alexandria known as the Safe Zone. The film Remember the Titans takes place in Alexandria and the cemetery scene was filmed at Ivy Hill Cemetery in Alexandria. Megan Young, Miss World Philippines 2013 and Miss World 2013, was born in Alexandria. ^ "Economic Aspects of Tobacco during the Colonial Period 1612–1776". Tobacco.org. Retrieved 2012-01-29. 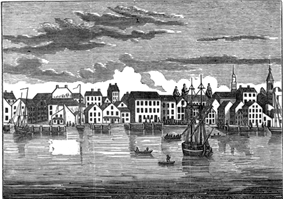 ^ "Discovering the Decades: 1740s | Historic Alexandria | City of Alexandria, VA". Alexandriava.gov. 2011-01-05. Retrieved 2012-01-29. ^ Journals of the House of Burgesses of Virginia, 1742-1747, 1748-1749 - Virginia. General Assembly. House of Burgesses, Virginia State Library - Google Books. Books.google.com. 2008-10-03. Retrieved 2012-01-29. ^ Jim Barnett and H. Clark Burkett (2004). "The Forks of the Road Slave Market at Natchez". Mississippi History Now. 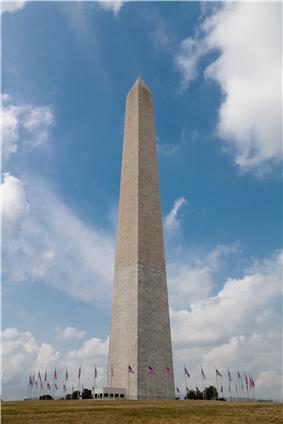 ^ "Get to know D.C. - Frequently Asked Questions About Washington, D.C.". History Society of Washington, D.C.
^ a b "Death of Colonel Ellsworth, Harper’s Weekly (June 15, 1861)". Sonofthesouth.net. 2007-01-26. Retrieved 2012-01-29. ^ "Fort Ward Museum". Retrieved 19 September 2014. ^ a b "Office of Historic Alexandria, Alexandria Freedmen's Cemetery: Historical Overview, April 2007, p. 2." (PDF). Retrieved 2012-01-29. ^ Freed People and Freedmen's Cemetery – Alexandria, Virginia. ^ "National Historic Landmarks Program". ^ "Farmers' Markets". City of Alexandria. ^ a b "The Confederate Statue Marker". Hmdb.org. Retrieved 2012-01-29. ^ "Alfred Street Baptist Church History". ^ "About St. Rita: History of St. Rita Church". ^ Jackman, Tom (2011-04-21). "Arlandria gets its own Foo Fighters song". The Washington Post. ^ Image of "The Town of Potomac" historical marker in Ness, Leland (2008). "The Town of Potomac". Del Ray and the Town of Potomac: Del Ray Interpretive Signs. City of Alexandria, Virginia. Retrieved 2011-05-23. ^ Location and partial text of "Town of Potomac" historical marker in alsdmf (2010-05-19). "Del Ray Interpretive Markers". Retrieved 2011-05-23. ^ Escherich, Susan (1991-08-09). "National Register of Historic Places Registration Form: Town of Potomac". Richmond, VA: Virginia Department of Historic Resources, Commonwealth of Virginia. Retrieved 2011-05-24. ^ Snyder, Rebecca; Snyder, Jim (2010-01-15). "Del Ray History (video)". City of Alexandria, Virginia. Retrieved 2011-05-23. ^ "Del Ray (Potomac West) neighborhood in Alexandria, Virginia (VA), 22301, 22305 subdivision profile - real estate, apartments, condos, homes, community, population, jobs, incom". City-data.com. Retrieved 2012-01-29. ^ Hammer, Ben (May 24, 2004). "Potomac Yard sale could alter mix". ^ "Art on the Avenue". Art on the Avenue. Retrieved 2012-01-29. ^ "Census 2000 PHC-T-4. Ranking Tables for Counties: 1990 and 2000". United States Census Bureau. Retrieved January 2, 2014. 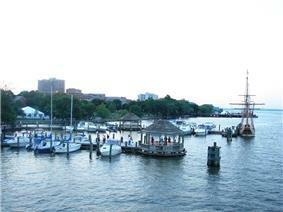 ^ "Alexandria city, Virginia - Fact Sheet - American FactFinder". Factfinder.census.gov. Retrieved 2012-01-29. ^ Perkins, Derrick (2011-03-28). "Crime hit 45-year low in 2010". AlexTimes. Retrieved 2012-01-29. ^ "Police Department". City of Alexandria. Retrieved 2010-03-21. ^ "Crime Statistics 2007". Alexandria Police Department. September 25, 2007. Retrieved 2010-03-21. ^ "A gathering storm - Violent Crime in America". Police Executive Research Forum. October 2006. p. 8. Retrieved 2010-03-21. ^ "Alexandria Library". Retrieved 20 April 2014. ^ "Alexandria Library Get a Library Card". Retrieved 20 April 2014. ^ Seale, William. The Alexandria Library Company. Alexandria, VA: Alexandria Library, 2007. ^ "Alexandria City Government". Alexandriava.gov. 2013-01-04. Retrieved 2013-11-12. ^ "Roster of Alexandria Boards, Commissions and Committees". .alexandriava.gov. 2010-08-04. Retrieved 2012-01-29. ^ "Climate Summary for Alexandria, Virginia". Weatherbase. Retrieved 19 September 2014. ^ """Tobacco to Tourism: Celebrating Alexandria's Scottish Heritage - "Dundee, Scotland: Alexandria’s Sister City. City Council, City of Alexandria, Virginia. Retrieved 2008-03-18. ^ "Alexandria-Caen Sister City Committee website". Alexandria-Caen Sister City Committee. Retrieved 19 September 2014. ^ "Jim Morrison Biography - Facts, Birthday, Life Story". Retrieved 19 September 2014. ^ "Freemasonry, Eager to Step From Cultural Shadows". Retrieved 19 September 2014. The District of Columbia itself, and Virginia's incorporated cities, are county equivalents. Virginia's incorporated cities are listed under their surrounding county. The incorporated cities bordering more then one county (Alexandria, Falls Church and Fredericksburg) are listed under the county they were part of before incorporation as a city.